Rosylife Intuitive Consultations are a valuable source of channelled information of wise guidance, universal truth and inspiration. Connecting & Communicating to your Higher Self & your Divine Helpers, the information delivered covers every aspect of life. These sessions also deliver protected personal space for you. Clients can use this time to express and explore feelings, thoughts, questions and ideas about their day-to-day life and career, whilst receiving guidance as to the next best steps and outcomes. Content is delivered in an accessible, practical manner that is appropriate to modern life. Angel Readings are beautiful experiences that connect you with your own personal guardian angels and the Archangel Realm, to give voice to guidance that otherwise you might not see, hear or feel. They can be used for guidance on all aspects of life and can be especially useful for Life & Work Progression, Love, & any other type of Relationship. Angel Readings will also build a bridge between your soul and your personality. To feel whole and complete makes us feel safe and lets us know we can manage whatever will come our way in life. The guidelines you receive will often encourage, confirm, uplift or surprise you and will at all times, constructively support positive action in your life. Angel Guidance offers clarity to help you make life decisions more easily. The information given has the potential to offer you clarity and judgment to help you decide on the best next steps in your life. Many people find readings to be fascinating, soothing and rewarding experiences. It is often said that readings show up your future potential, which gives you the opportunity to make it all happen. If I am connected to other realms such as the Mediumship, Guides and Ascended Master realms I will also channel information directly from them to you. Readings can be done in person or remotely over the phone – it makes no difference to the information received from the Angels on the airwaves. I wanted to write and let you know that when I had my reading with you, my main question was about my career and when I would get a new job. You told me that I had to patient and that I would a get a job in a bank or a financial institution. At the time, I wasn’t sure as I’ve never worked in that industry before, but I held faith and stayed positive as you taught me in my reading. And just to update you, this week was my first week working in one of the biggest financial institutions in the world! It took a while to get the job and at times I was a bit worried that something would come up and I wouldn’t get it, but I kept remembering your reading and constantly reminded myself that it is meant for me. So really I just wanted to say thank you! Cos I believed my reading with you, played a huge part in me getting the job as I stayed positive and whenever my old beliefs about my self worth came up, I pushed them away! So THANK YOU THANK YOU THANK YOU!!! I want to thank you for your wonderful reading. You are so kind and warm and made me feel totally at ease. Your reading has given me a great insight into what I am here to do and also how to do it. The most amazing thing was the detail of your 6 month prediction. It’s really astounding how much information you can access, I found our session very encouraging and I felt much lighter after we spoke. I must admit when you first mentioned some info, I thought well that may not be possible. But as events would have it, I had 3 separate conversations that acted as progression and confirmation of what you told me. Ok so I will stop fighting the flow and trust my angels more. How angels work in such amusing and witty ways! Needless to say that I recommended and passed your details on. I was introduced to Elizabeth through a friend for whom she had previously read. At the time of my reading I was in situation where I required direction to understand what decisions and influences were effecting me. It was a very difficult time for me, as I had recently relocated from the north and had received a major promotion into a senior management position, which exposed me to new experiences and challenges. Elizabeth’s approach to my situation was to make me feel relaxed, at ease with her presence and this allowed me to indulge myself in the experience. The format of the reading appeared logical to me in that Elizabeth first spent time to understand me with study rather than questioning, the interaction and the feedback was presented in such a way I was able to take on a little at a time. The accuracy of the reading has been incredible, it has also provided me the opportunity to challenge the life course I may not have wished to take. Post my reading Elizabeth provided a period of, well, almost council. She cared for the state of my well-being and allowed me time to question the possibilities. An experience that proved most empowering. You’re yearly forecast has been uncannily accurate so far. Unbelievable!! I had an angel reading from you. Just to remind you….I was a total angel sceptic and yet now after a series of events, with one more recently in particular, I am now an angel convert and just wanted to share that with you cos it’s entirely thanks to you!!!! What you predicted for me for this year and then what actually happened is spooky cos it’s so accurate!! I really appreciate you responding to my situation and just want you to know how encouraging you are. Thank you for helping me to make sense of what is going on and what has gone on in my life. Without hesitation I would say that the session I had with you allowed me to gain tremendous insight into where I am at in my life, how far I have come and where it is I am going. Many thanks for the amazing reading last night, it was very uplifting and made good sense. I went straight home and rang my cousin – just in time by how she sounded! It was a good move all round – for both of us. I have never received a message “from the other side” spooky – but there’s no doubt in my mind it was Angie’s mum, so thank you, once again for that. Elizabeth is so amazing, I immediately booked readings as birthday presents for all my friends. It’s like having a facial for the inner you. Life can be challenging, Elizabeth’s readings are a fantastic tool to help guide you through life with confidence. They are energising, exciting and everyone needs to know about the guardian angels in their life. 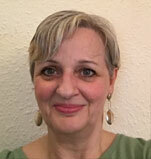 Elizabeth is a true and dedicated lightworker, whose immense passion to serve, is equaled by the uncanny accuracy of her readings and intuitive skills. Thank You Elizabeth for shining the light on some of my relationship questions! Your guidance has been invaluable to me personally. Your teaching and wisdom carries great power, and I always look forward to hearing what you have to share. Your words carry the light to our ears and into our hearts. I had both experiences with Elizabeth; a reading in person and on the phone. Everything made perfect sense to me and I could resonate with all the advice and suggestions she pointed out. Both were wonderful!! With the information she provided me, I was able to take some decisions in my life. After the Angel Guidance session, I felt as light as a feather and in balance. Elizabeth has a unique gift and I feel happy she’s able to share her gift with the world. She’s very sweet and caring and I’m blessed to have met her. I look forward to other services through her in a near future.